Chariot Festival, Ratha Yatra is a colourful and vibrant public festival that dates back thousands of years to ancient India. It features a huge chariot pulled by hand, accompanied by music and dancing, culminating in a fun-filled afternoon of stage shows and exhibitions as well as a free, sumptuous vegetarian feast. 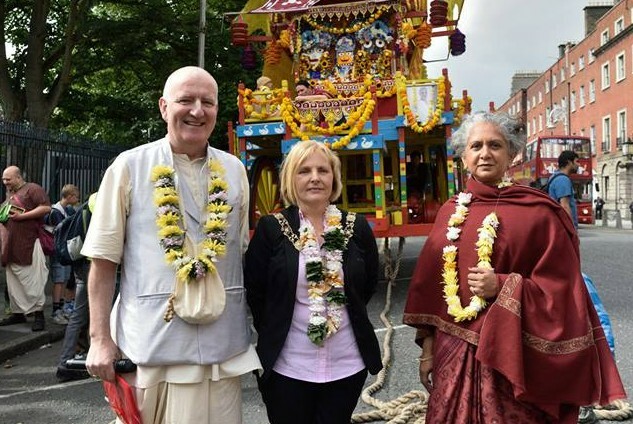 Ratha Yatra is celebrated all over the world and was first introduced to the West in 1967 in San Francisco by ISKCON founder Srila Prabhupada and his American disciples. This year the festival team is delighted to return to Dublin on its European tour.